LaBellaVida: Collective Basics Beauty & Fashion Haul! I needed most of these things for my night out, other than the knee highs which i just like to wear under jeans with dolly shoes etc! As well as the baby wipes, which i love for taking my makeup off every day! I needed a new exfoliant i and i love love st ives so i just picked it up in prep for a quick tan before the weekend! As well as quickly popping to town to collect these bits and pieces i have also been buying clothes and clothes and more clothes recently, even though i'm sooo skint! But i thought i would show you all what i've been getting anyway. I'm still on the hunt for a perfect new faux-leather jacket but still no luck, suggestions? 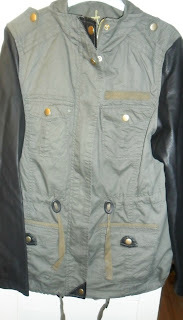 Safari Jacket with Leather Sleeves - Primark £25. I love this jacket, wanted the Zara version but it sold out and my budget wouldn't stretch that far! I switch up my jackets nearly every day anyway so this price tag made me extremely happy! 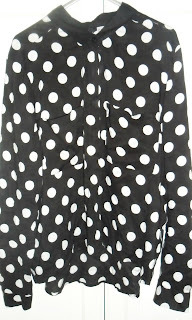 Polka-Dot Dress £11(i think!) - Primark. The picture is making this look a little more red than it actually is as its really a sort of berry colour. 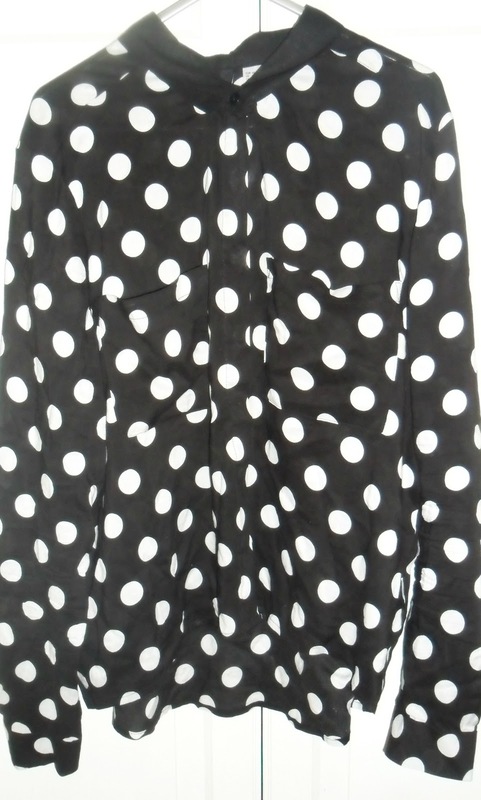 Regardless, it's lovely, and i wear it a lot with my primark studded heel ankle boots and leather jacket or blazer. 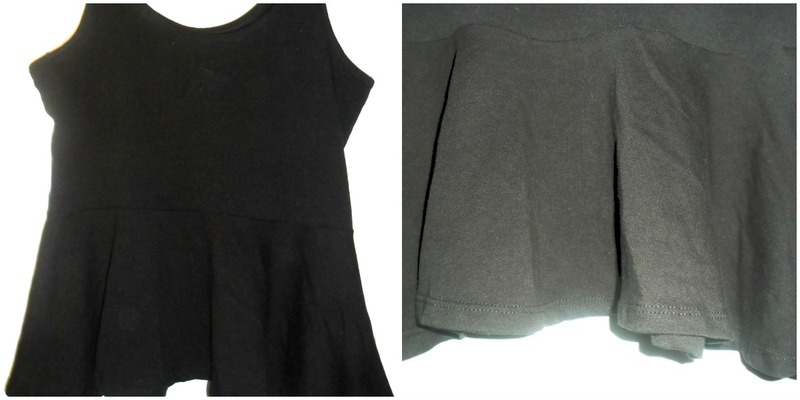 Plain Black Peplum Vest - Primark £4. 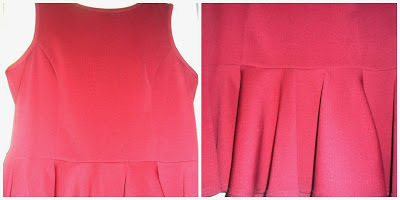 Bargain basic top, fulfills my love of peplums and is easy to dress up and down! Not best quality ever, but it was under a fiver so, what is to be expected? Charcoal Jacket - Primark £18. Love this jacket, love the colour and the fit. Cheaper than most winter jackets currently! Can't really go wrong with a grey coloured jacket can you? 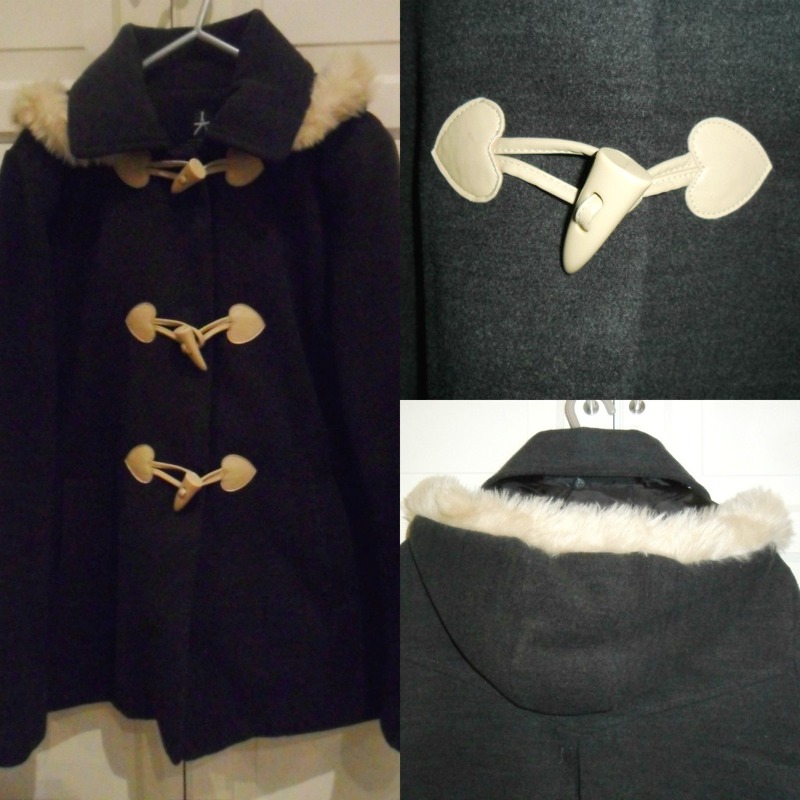 The collar is nice and the hood is detachable so it's versatile and comfortable, win win! Sequin top £9.99 - H&M. I wish this was showing how nice this top actually is. The sequins are multi-coloured and just really lovely. Looks lovely with jeans and dresses a casual outfit up a bit! This again isn't showing how nice this shirt actually is! It is sort of cropped at the front and longer at the back with a dipped hem. It looks lovely on so i will feature it in a OOTD sometime so you can see how much nicer it is in person if you haven't seen it in h&m already. 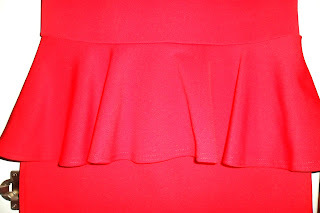 Yes, another peplum, i know i'm obessed but, i can't stop. I have had this for a little while now but i love it, it looks great with a skirt or jeans, disco pants, leggings - anything. Can be dressed up pr down and is just generally lovely. Comes in black and white also i believe? Florals are sort of summery but i love the Autumny colours of this top and i've been wearing it with my black disco pants and a leather jacket which looks really nice. I've also been layering it with my plain black scarf and thick black cardigans so it's really versatile and just lovely! 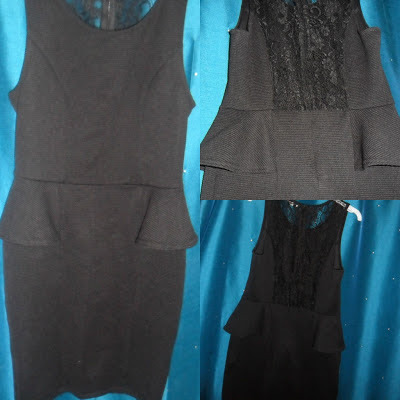 Lace Back Peplum Dress £27.99 - New Look. 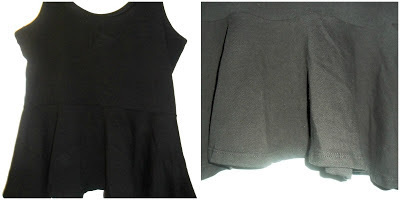 Wore this to my graduation as although the pictures don't make it obvious, this comes to just above the knee rather than my usual mini-dresses! 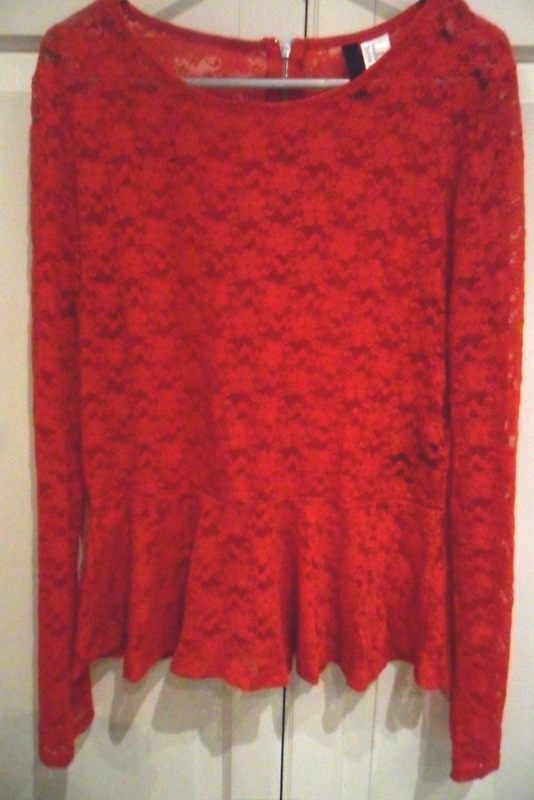 It is textured, has side peplums and a lace panel on the back. Love it. 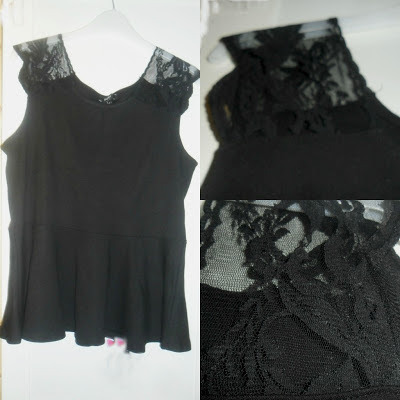 Peplum Top with Lace Shoulder £12 - Matalan. Love this, it looks lovely on, the lace detail on the shoulder makes it dressy and less casual and the peplum not too accentuated. 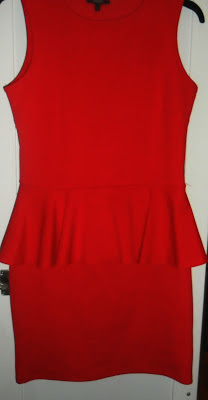 Peplum top £12 - Matalan. As usual, my crap photography skills are not showing this up to be the winey purpley colour that it actually is, but, it is more wine coloured. 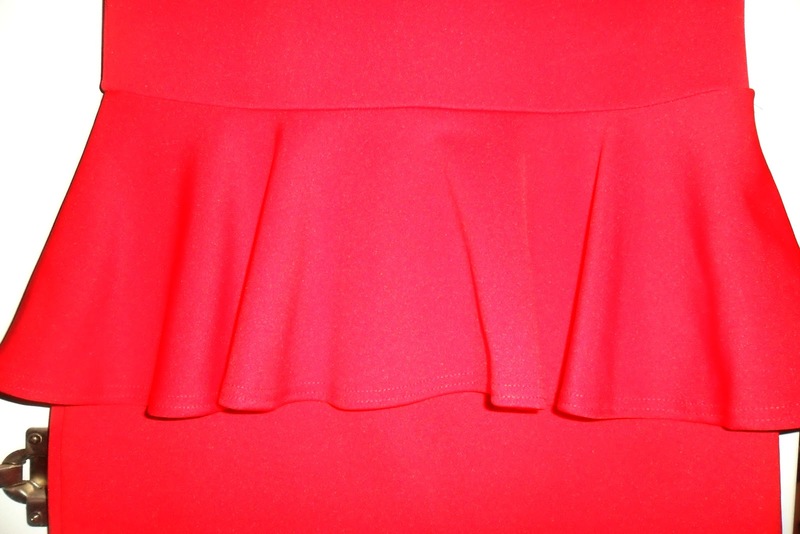 It's more of a structured, flared peplum than the black lace on above but is really nice with jeans or disco pants! Also comes in loads of different colours worth having a look at! 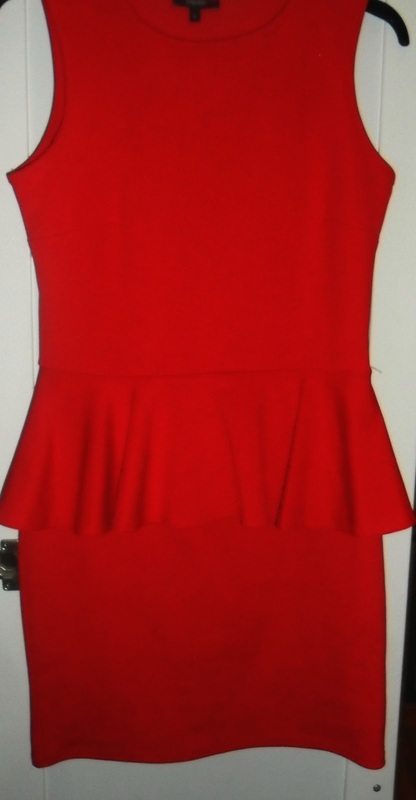 And this dress i just got delivered today to wear on Saturday night and i absolutely love it! Can't wait to wear this out, i promise i will post a picture on here of me wearing it so you can see how lovely it is on and not just hanging on a hanger! As you can see it is a really bright red colour! I love it so much, just trying to decide what shoes i should wear with it now! I think Matalan also do this in blue, leopard print and white so deffo check those out if you like peplum dresses! So that's all i've really been buying lately! Once again i apologise over and over for the crappy quality of my pictures, getting good lighting is really hard as i usually blog as night and currently that is a real nightmare! 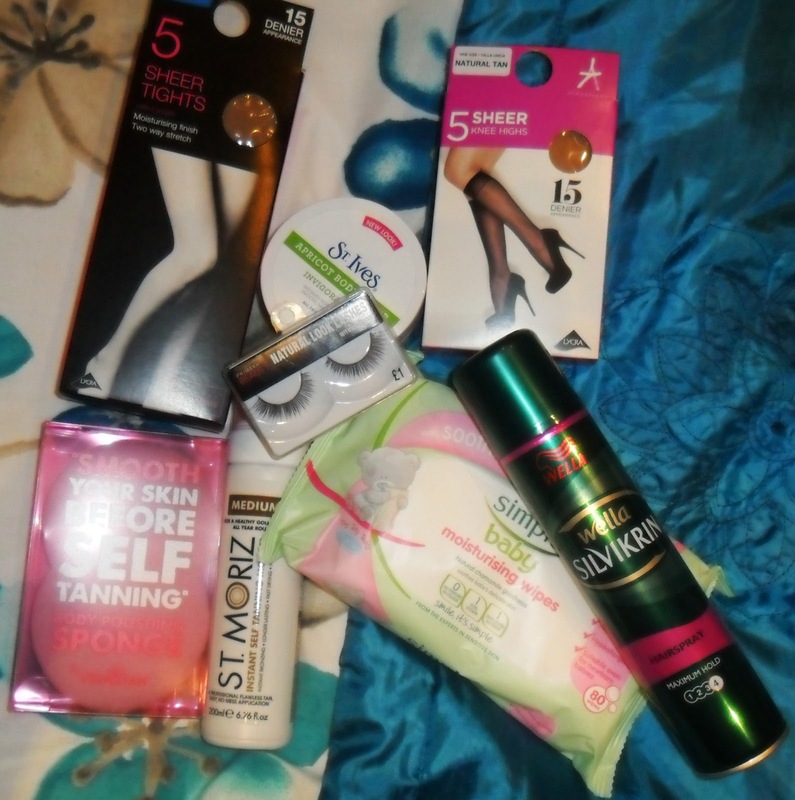 However, hope you enjoyed some bits of this post and liked some of my buys! Me too! The shirt looks a lot nicer on than in my rubbish photos! You've brought some lovely stuff! Love most of the dresses & the H&M sequin top is soo cute! Uch i can't stop buying them! Need help, haha! Aw uni work ruins everything, hope you had a good weekend regardless. 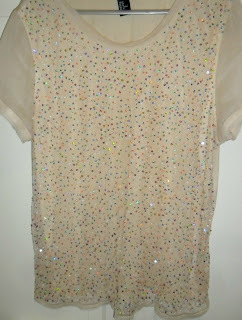 I love the cream sparkly top! Cute holiday outfit in mind with that! It is lovely, the sequins are all multi-coloured which makes it really easy to wear with anything! 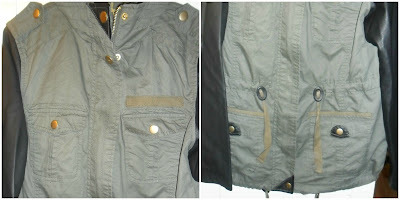 I've got that Primark jacket - such a good copy of the more expensive brands at such a bargain price, brilliant! 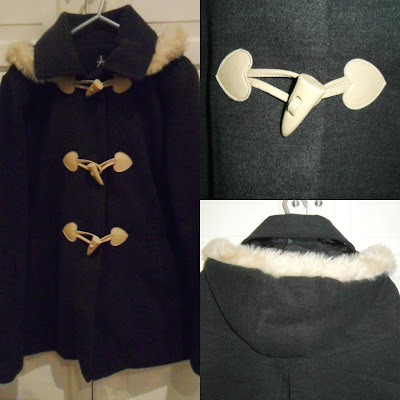 I love the Primark coat, I'm finding it a nightmare trying to find a coat I like with a hood, so annoying! I actually struggled with finding a jacket with a hood too, but i have loads without.. not very practical, haha! 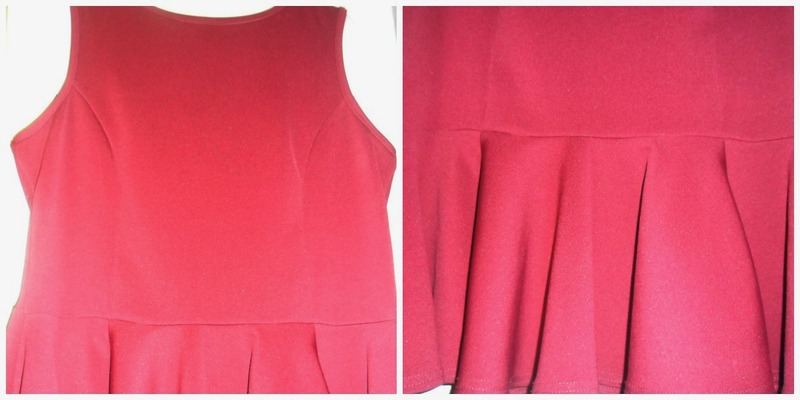 Thankyou :), i love the red peplum dress! It is lovely isn't it, much nicer on than in my picture!